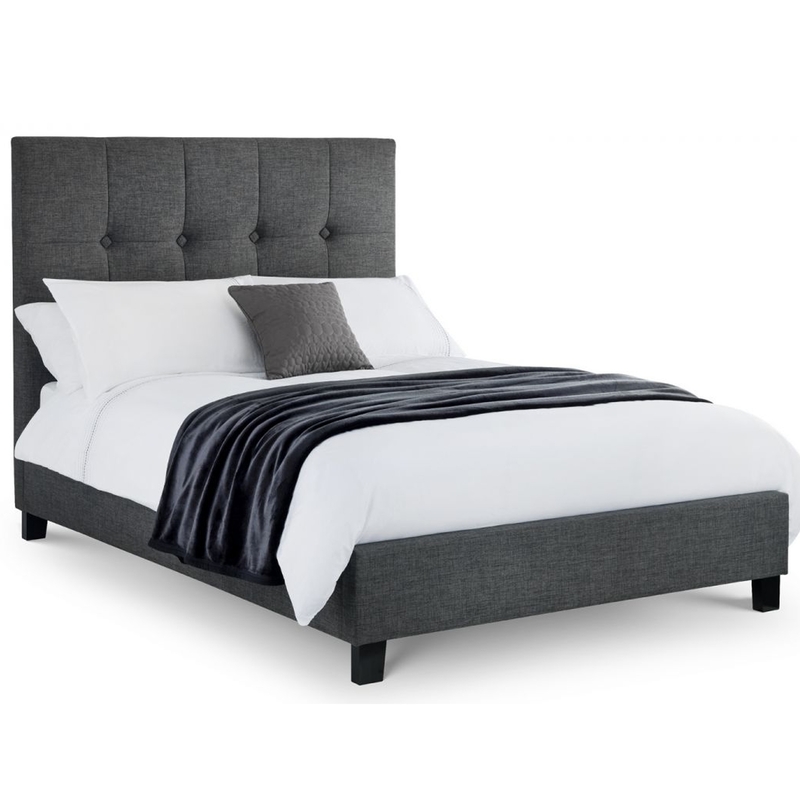 Add a modern style to your home by introducing this magnificent Sorrento High Headboard Bed. This bed has a lovely design that features a gorgeous hardwood frame, complemented by a slate grey linen fabric finish. This fabric enhances the comfortable style of the bed, making it a perfect and cosy addition to any bedroom.